Calcutta: Mamata Banerjee on Saturday spelt out a 2019 dream for her supporters from her party's biggest annual event in Calcutta. As the dream was woven a day after the Narendra Modi government's 325-126 rout of a no-confidence motion in the Lok Sabha, the Bengal chief minister reeled off a list of nine big states - with a total of 315 Lok Sabha seats between them, where the BJP had won 176 in 2014 - and an alternative arithmetic to convince her audience about the credibility of her vision. 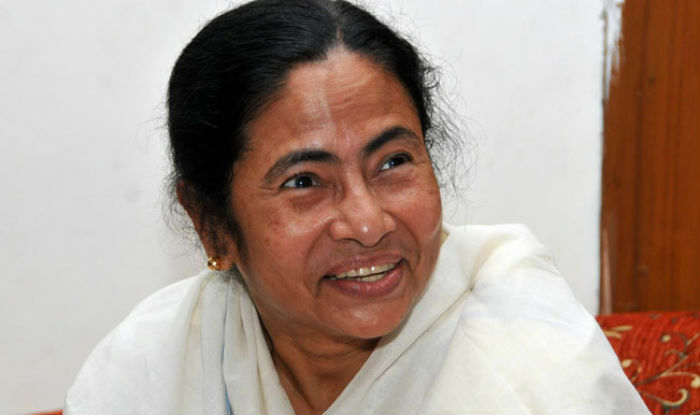 Mamata urged the supporters to believe that the math of the 2019 general elections would be quite different from that of 2014. "The BJP managed somehow to pass the floor test on the basis of the 2014 arithmetic, that too not on its own.... They had the numbers in the House but not the people," said Mamata. "They will be reduced to 100. The maximum they can get is 150.... Ami bajey kotha boli na. Miliye neben (I do not make baseless statements. Mark my words)," she added. The Telegraph takes a look at the states she named and her forecast for each. Mamata's forecast: "Vital to the floor test victory was the support of the likes of AIADMK. Had Jayalalithaaji been alive, they would not even have got that. In 2019, (M.K.) Stalin (DMK working president) will get all the seats." Mamata's forecast: "If Mayawatiji (BSP chief) and (SP chief) Akhilesh (Yadav) come together, they will win at least 50." Mamata's forecast: "They (the BJP) will not even get 8"